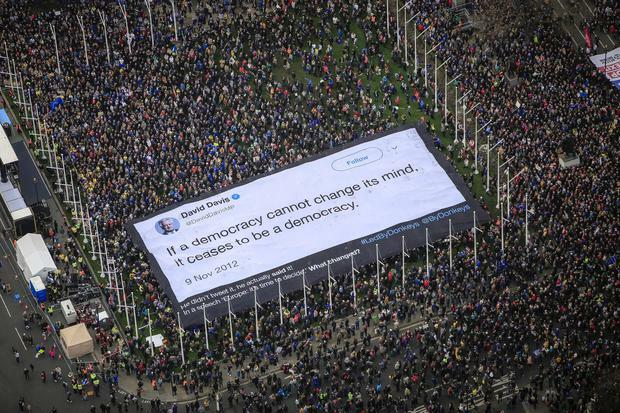 Handout photo issued by Led By Donkeys of an 800sqm banner of a David Davis quote in Parliament Square during a People's Vote March in London. 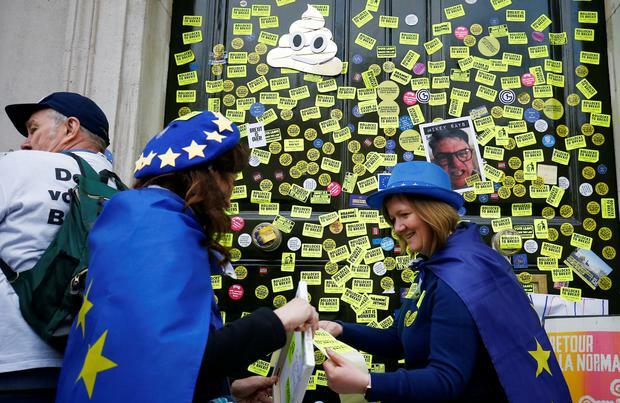 Over one million people opposed to Britain's withdrawal from the European Union marched through central London on Saturday to demand a new referendum as the deepening Brexit crisis risked sinking Prime Minister Theresa May's premiership. Scottish first minister Nicola Sturgeon told the rally in Parliament Square that “the prime minister and her government have proved completely incapable of delivering on the result of the 2016 vote, which is why it is right that this should now go back to the people." "I would feel differently if this was a well managed process and the government was taking sensible decisions. 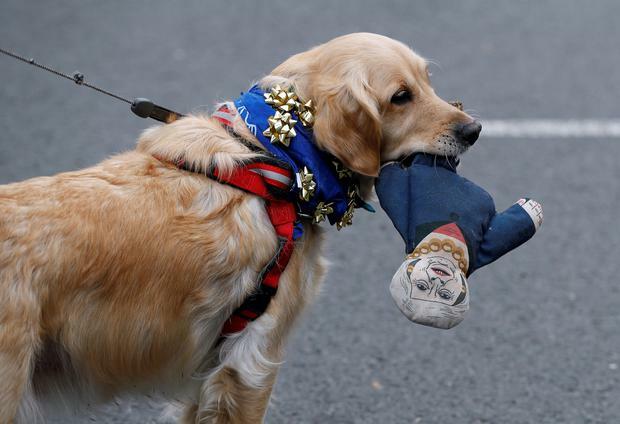 But it is complete chaos," Gareth Rae, 59, who travelled from Bristol to attend the demonstration, told Reuters. In the June 23, 2016 referendum, 17.4 million voters, or 52pc, backed Brexit while 16.1 million, or 48 percent, backed staying in the bloc.